An Aberdeenshire teenager has been found after being reported missing. The A92 has fully reopened after being closed after an accident earlier today. A housing developer has taken its fight to build hundreds of homes in a north-east coastal village to the Scottish Government. Residents living near an Aberdeenshire school fear it is "only a matter of time" before an accident occurs on the street as parents congest the area with vehicles while collecting their children. Newtonhill couple Kirsti and Scott McArthur hosted around 200 people at their annual Christmas light switch on extravaganza at the weekend. It has become one of the must-see festive attractions for the Mearns area and takes four weeks to construct. Plans for a major new housing development at a north-east village have been thrown out by councillors amid concerns over impact on local schools. A north-east couple overcame life-threatening illness, sub-zero temperatures and corrupt policemen to traverse some of the world's least-travelled locations. An Aberdeen University student has stumbled across a historic piece of war memorabilia. An offshore worker recovering from cancer has been fined for behaving in a "threatening manner" towards his wife after returning home from an operation. Plans for a major new housing development at a north-east village have been held up amid concerns over local infrastructure. Planning chiefs had backed Barratt North Scotland’s proposals for 121 new homes at Newtonhill. However, at a meeting of Aberdeenshire Council’s Kincardine and Deeside area committee yesterday, councillors moved to defer the decision. Planning chiefs have backed plans for 120 homes in a coastal village - despite 651 objections. Fresh calls have been made for transport bosses to take action to prevent a major accident in a north-east village. A charity football tournament is taking place this weekend in memory of a “larger than life” Newtonhill stalwart who died suddenly last year. A developer is pushing on with controversial plans for hundreds of homes in a north-east coastal village. 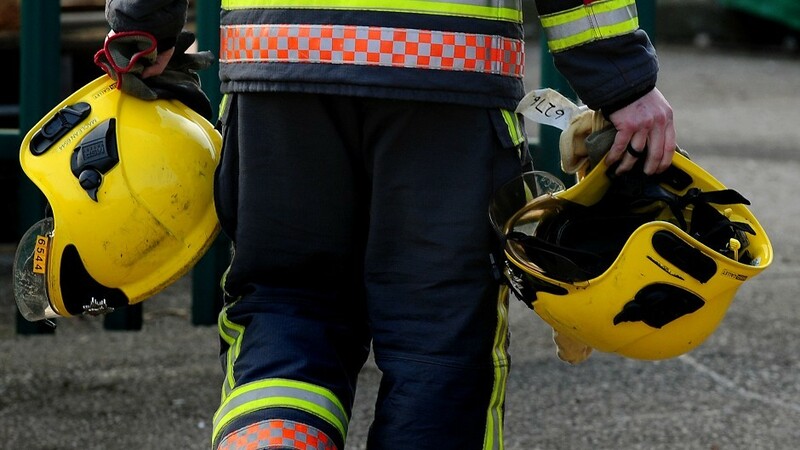 More than 20 firefighters were needed to tackle flames at an Aberdeenshire farm. Calls have been made for tougher rules to be implemented at a north-east farm after a dog walker claimed he was narrowly missed by a rifle pellet. The skies across Aberdeen and Aberdeenshire will be illuminated by a series of pyrotechnic displays this weekend when the nation celebrates Bonfire Night. An oil worker dumped in the middle of nowhere by a taxi driver has vowed not to cut his dream holiday short. An Aberdeenshire man has been found "safe and well" after being reported missing following a night out on holiday in Vietnam. Motorists have been warned to expect increased disruption on a north-east trunk route as work on the Aberdeen bypass ramps up in tandem with a resurfacing scheme. The public will have another chance to have their say on controversial proposals to build more than 130 homes in an Aberdeenshire coastal village. An Aberdeenshire mum has warned her child could have choked on a piece of sharp plastic found inside her daughter’s Aldi chicken nugget. Hundreds of people have objected to controversial plans to build more than 130 homes in an Aberdeenshire coastal village. A climber who plunged down a coastal cliff in Aberdeenshire managed to escape serious injury. A climber has been airlifted to Aberdeen Royal Infirmary this evening after she fell down a sea cliff in Aberdeenshire. Controversial plans to build more than 130 homes in an Aberdeenshire coastal village have been unveiled. Heartless vandals have wrecked a children's play park in an Aberdeenshire village causing hundreds of pounds of damage. A north-east community centre has unveiled its ambition to convert a disused garage into a community gym with a sea view.